STARRING Stephen Fry, Alex Pettyfer, Jemma Redgrave, Joseph Beattie, Harry Michell, Dane Carter, Hugh Mitchell, Ben Tillett, Harry Smith, Harry Williams, Max Benitz, Stephen Boxer, Amanda Boxer, Clive Standen, John Carlisle, Georgia Moffett, Gerard Horan, Tom Alla. 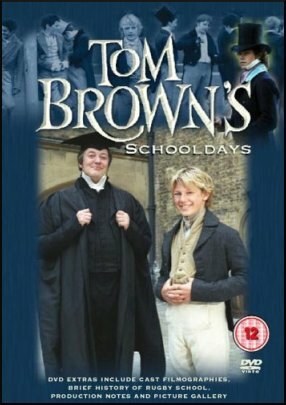 SYNOPSIS Based on the classic novel of the same name by Thomas Hughes, Tom Brown's Schooldays chronicles the trials and tribulations of young Tom Brown at Rugby School in the early 1800's. In particular, the story focuses on Tom's relationships with notorious bully Flashman and the kindly Master Arnold.